The marriage of Bryan Morris to Sheila Rough, St. Mary’s, Redbourn April 1954. 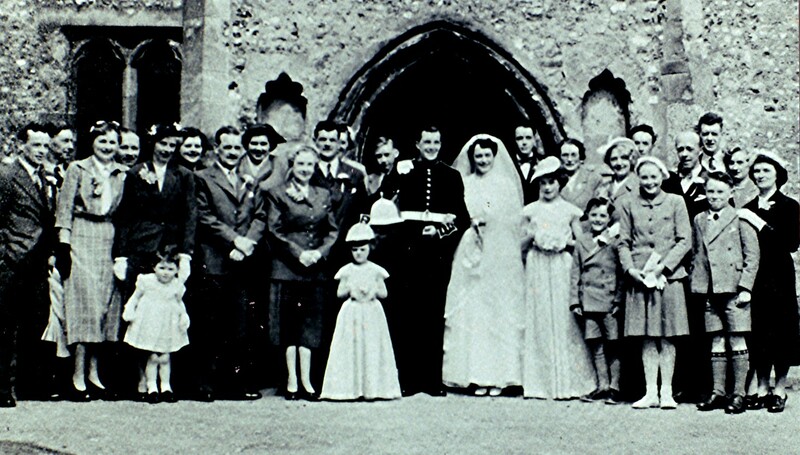 Left to right – Norman Morris, Charles Paynter, Bobbie Morris, Arthur Miles, Connie Morris holding Sian, Jo Statyon, Jim Morris, Eva Miles, Sybil and Ken Morris, Caroline Morris (front), Phyll and Alan Paynter, groom and bride, Robert Rough, Janet Rough, Mary Rough, Florrie Rough with son Walter, Bob Rough with daughter Judy, Arthur Rough, Bruce Rough (front), Jim, Muriel and Nita Inman. This page was added on 28/09/2010.